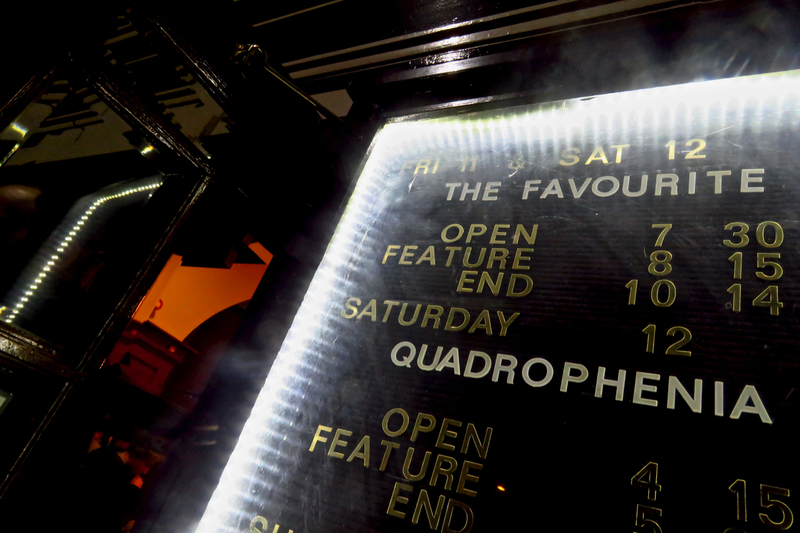 Each month the “Friends of the Picture House” can nominate a movie to be shown there on a Saturday afternoon. Clare has been on the committee for about a year now and we’ve been feeding her suggestions. Finally, today, one came through: Quadrophenia. I may have had something to do with this… and so did Joe, for whom it is also a favourite movie. I’m sure The Favourite is a very good film too (it’s supposed to be), but it was the lower of the two that drew us in today. Have you ever had a movie request shown at the pictures? It’s fun, if you can make it happen.